Answer the following questions using the attached handout. All of the information you need for each questions is in the handout. You can put the answers in your own words, or you can copy the information directly from the handout. The purpose is for you to get familiar with the theories of Dr. Tomatis which provide the foundation for much of the audio listening we are doing in class. 1. Who was Alfred Tomatis and what discoveries did he make about the ear? 2. Tomatis came to believe that the ear was much more than an organ of hearing. List three functions he believed the ear was responsible for. 4. Among other discoveries, Dr. Tomatis helped identify the relationship between certain sound frequencies and their effect on functions of the mind and body. 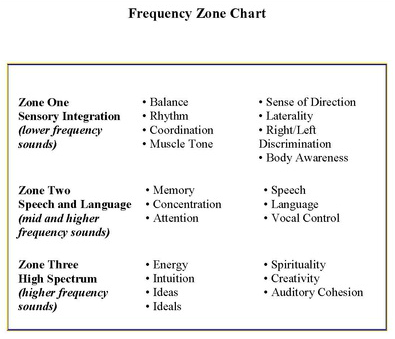 A simplified explanation of Dr. Tomatis’ findings shows that certain bands, or zones, of sound frequencies affect different abilities. The chart below lists the three zones Tomatis identified. 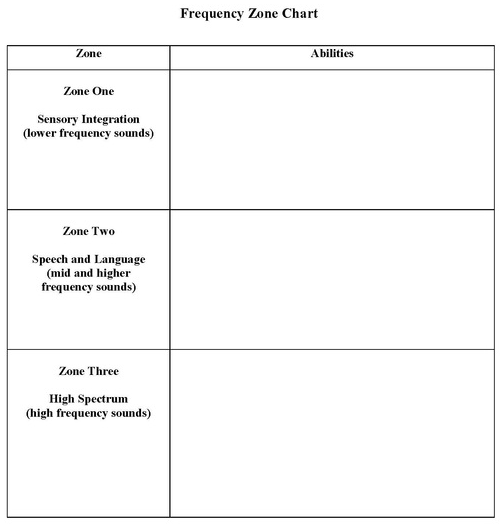 Fill in the Abilities Column to learn what different abilities relate to each sound frequency zone. During the last half of the twentieth century, Alfred A. Tomatis, a French M.D., researcher and ear, nose and throat specialist, defined the ear as a primary organ for multiple physical, emotional and neurological development responses. Not only is the ear and its complex ability to send information to the brain and the body primary for hearing and sound perception, it establishes balance and equilibrium. It is also primary for the development of verticality, spatiality, laterality and language development. Tomatis, made his pioneering discovery that “the voice can only produce the harmonics that the ear is able to perceive.” This identification of the role that the ear played in vocal production became the first law of what later came to be called the “Tomatis Effect.” Tomatis also discovered that if the missing frequencies could be restored to the ear, through a device he called the Electronic Ear (EE) they would be returned to the voice and with sufficient training of the ear and voice through the EE, the changes would become permanent. These discoveries had important implications for populations as diverse as singers and children having difficulty in acquiring language. Tomatis came to believe that the ear was much more than an organ of hearing. It is, he maintained in charge of functions including; energizing and regulating the brains state of alertness and attention; coordinating posture and movement; and connecting our intentions and thoughts with our physical and verbal transactions upon our environment. Tomatis’ life mission eventually became the understanding of how the ear was physiologically involved in acquiring and controlling of the voice and language. To this end he invented several technologies, which could be used to rehabilitate the ear related functions of alertness, attention, coordination and voice. Tomatis's innovative research is based on the ear's ability to discriminate between sounds it selects to hear and the ability to tune out sounds that are unwanted. The ear's ability to listen and focus, select sounds spatially and regulate auditory information as it is perceived by the brain, has become the theme in over a hundred centers worldwide dedicated to assist children and adults with speech and communication disorders, attention deficit disorders, head injuries, and autism. The listening process beings in utero when the fetus becomes aware of sound and frequencies in the liquid world of the heartbeat, breath and sound of the mother's voice. In La Nuit Uterine (Edition Stock, Paris, 1980), Tomatis explores in depth clinical observations on the state of intrauterine listening. He defines the phylogenic and ontogenetic progression of the ear and its neurological implications for the development of language. Dr. Tomatis proved that the voice can reflect the state of the ear's ability to hear, a phenomenon know as the Tomatis Effect. When the perception of midrange and high frequencies is missing in the prenatal and the first three years of life, difficulties in listening and learning often arise. Without any obvious traces in deafness, a deficient ability to hear frequencies below 1000Hz can cause difficulty in understanding and remembering spoken information. A listening test for each ear was developed by Dr. Tomatis to show specific areas where frequency deficiencies occur. Defective variations in frequencies between 1000Hz and 2000Hz make it difficult to sing in tune. When there are difficulties above 2000Hz, the voice will be dull and not expressive. Generally, a healthy adult can hear up to the 20,000Hz range, giving a bright and clear ability to distinguish sounds. When there is a loss in the high frequencies, it is necessary to strain. The ability to focus upon and select sounds or voices in a noisy room is one of the primary challenges of those with listening disabilities. The following chart created by Timothy Gilmore from the "Overview of the Tomatis Method" by Gilmore, Madaule, and Thompson, 1989) shows the essential role of the ear. Listening integrates sensations and perceptions. The complexity of multiple roles of the ear is difficult to measure because of the ear's simultaneous regulation of information it receives from bone and air conduction in regard to both cochlear and vestibular functions. Tomatis was keenly aware that every language has a particular frequency range and accents at certain points. By stimulating the unique frequency ranges through music and vocal participation, the foreign tongue becomes familiar to those studying the language. A richer, more melodious expression of the new language becomes evident as study and the Electronic Ear stimulation work together for ease of the learner. Medical research for the Electronic Ear has predominated taken place in Europe and Central America. The State of Washington now supports a Tomatis program for those on welfare. The research and work of Tomatis is evident throughout the world. 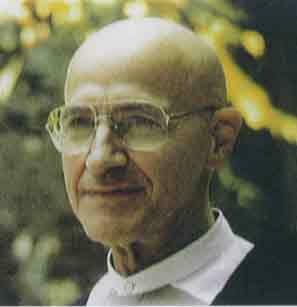 Born on Christmas Day, 1920, Dr. Tomatis passed away in Carcassonne, France, on Christmas Day, 2001. Over a hundred and fifty centers in fifteen countries are continuing the research with the power of music, Mozart and the Electronic Ear.